A delicate alliance between human and orc has been achieved. 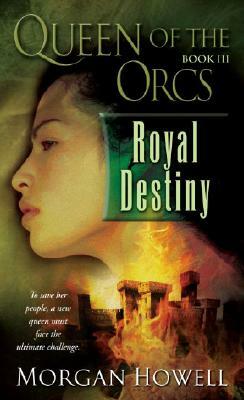 Now Queen of the Orcs, Dar works toward making that peace last. Her position has helped her to finally feel part of a community, to find a life to call her own. But sudden, strange outbreaks of unrest and ominous signs throw both realms into turmoil. Dar must draw on her knowledge and skills to confront a merciless long-time enemy—and an evil she once only barely survived. To keep human and orc from destroying one another, Dar risks everything on a desperate gamble—and her own future on a heartbreaking sacrifice. A graduate of Oberlin College and the Rochester Institute of Technology, Morgan Howell is a full-time writer who lives in upstate New York.